Police Bicycle Patrol Units serve an important function in police departments, in communities both large and small, as well as on school campuses around the state. One of the fastest growing trends in law enforcement and emergency medical response today is utilization of mountain bicycles. Quiet, cost efficient, and amazingly effective, mountain bikes are able to bridge the gap between automobiles and foot patrol. Experience has shown that citizens are more likely to approach a bike patrol officer than even a neighborhood beat officer, optimizing community oriented or problem oriented policing efforts. Bicycle officers are better able to use all of their senses, including smell and hearing, to detect and address crime. Bike patrol officers are often able to approach suspects virtually unnoticed, even in full uniform. The Arkansas City Police Department's bicycle unit allows officers to become more accessible to citizens, and it provides enhanced patrol capability. It also offers more opportunities for officers to interact in a positive way with people. Police riding bikes sometimes patrol at Veterans Memorial Lake, on the hike-bike trail and walking path, and at other places where people go to exercise or relax. The bicycle unit also helps police to patrol special events such as Arkalalah. Officers won't ride in icy or snowy conditions or when they are needed for other duties. The bicycle unit officers ride Trek police-model bikes, and each bike is custom-fitted for each individual officer. The Chanute Police Department's Bike Patrol Unit was started in 1995. The Chanute Police Department began the Bike Patrol to help improve and / or enhance the patrol capabilities as they combine mobility with close citizen contact. The Bike Patrol Unit is an operation that will tentatively run from the month of June to September or as the weather permits. The goal of the Bike Patrol Unit is to be more in touch with the public and to perform the duties of a law enforcement officer. 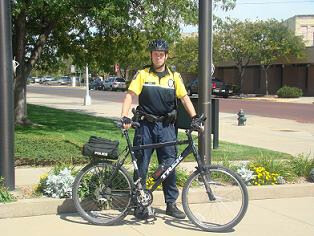 Emporia Bike Patrol Officers: "The department has three full-time bike officers. The duties vary by shift. Bike officers have a strong presence at events such as the Farmers Market and Live in the Lot. They also make it a habit to check up on businesses. Emporia has had a bicycle patrol since 1993, and each year its officers teach a "bicycle cop" course to new bike officers from around the state. For this sort of training, Emporia is the place to be - Kansas only has three instructors and two of them are there." 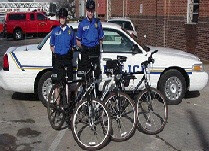 As of 2001, Fort Scott had a bicycle patrol unit: "Bike Patrols are part of new, although independent, efforts from both Mercy Hospital and the Fort Scott Police Department to respond quickly to emergencies during activities that involve large crowds. While this was a pilot program for the FSPD, the patrol effort went well. Bike patrol will be used when needed, and when manpower is available." It is not known if the FSPD still maintains their bicycle patrol unit. Members of the Community Response Division are cross-trained in many areas to include bicycle patrol, gang suppression with the Garden City/Finney County Street Gang Unit (SGU) and in Special Weapons and Tactics (SWAT). The primary responsibility of the Patrol Division is to prevent crime through visible patrol of the city. 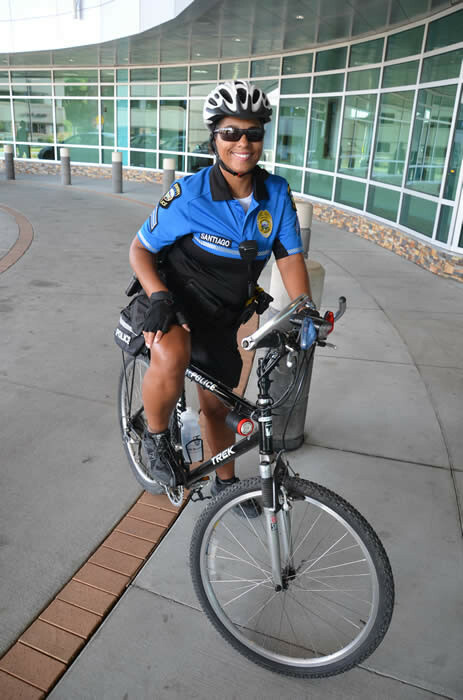 In addition to service as a patrol officer, positions are available on the bicycle detail. The GBPD Patrol Division is also comprised of the Bicycle Patrol. Their purpose is to provide support for special enforcement such as downtown patrol during summer hours. Special events can also be supplemented by use of bicycles such as the 3iii show held at the fair grounds every other year. The Department entry team is made up of Patrol officers who receive special training in tactics and weapons. They provide support for high risk situations. The Hays Police Department "serves the people of Hays by insuring the community's livability, safety, and security through fair law enforcement." No additional information about the Hays Police Bike Patrol, other than that it does exist, and bicycle officers are pictured on the department's web site. No additional information about the Kansas City Police Bicycle Unit, other than that "Police Mountain Bike Patrols" are part of the "Community Policing" program in KCK. "The mission of the Kansas State University Police Department is to preserve a safe campus environment where diverse social, cultural, and academic values are allowed to develop and prosper." Services include a Bike Safety Officer. First begun in 1998, this two-person unit has filled a valuable niche in the department. The patrol cyclists, riding Trek mountain bikes, patrol the city's scenic parks, exercise pathways, and the Town Center Plaza shopping district. However, they are always available to move into other areas of the city for directed patrol assignments. The patrol cyclists also receive high praise from the community for the bicycle rodeos, safety helmet fittings, safety seat installations and other public safety initiatives that they conduct regularly. No additional information about the Liberal Police Bicycle Unit, other than that it does exist, and a police bicycle is pictured on the department's web site. 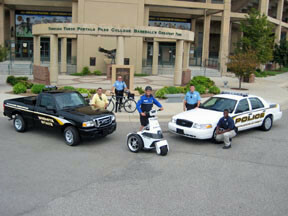 The Riley County Police Department launched a uniformed bicycle patrol unit in 2009. The unit focuses on community policing and crime prevention, and consists of two uniformed bike operators who patrol selected portions of Manhattan and work on special projects in high-crime areas. The Pittsburg Police Department began the concept of bicycle patrol in 1999, and the Community Oriented Policing (COP) Council purchased its first police bicycle. In year 2000, the Morning Rotary and Noon Rotary clubs donated two additional police bicycles. The department then had three fully equipped black and white patrol bicycles, reminiscent of the old black and white patrol cars. Six officers were selected and trained for bike patrol. 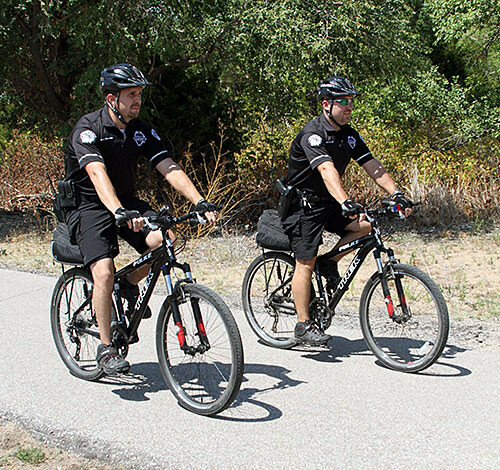 Pittsburg bike officers patrol in pairs downtown, around city parks, near ball diamonds, around schools, and at special community events. In July 1992, the Pittsburg State University Police Department responded to this challenge with the Police Mountain Bicycle Patrol. Pittsburg State University Police started with two Police Bicycle Patrol Officers and one bicycle. The Bicycle Patrol has grown to include several members. 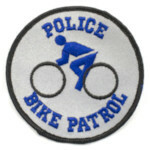 All members of the bicycle patrol have completed schooling to become certified police cyclists. This unit is very mobile and can operate in areas that are difficult for cars to access. Bikes allow for: Easy mobility, while maintaining the necessary level of visibility; Increased vision, allowing the officers greater awareness; Greater public contact in high-pedestrian areas. Bike Patrol is also an integral part of all special events in the city. For example, providing a police presence at the annual River Festival, is part of the unit's responsibility. The Bike Unit of the Topeka Police Department has been in operation since the spring of 1993. Currently the unit is staffed by seven officers, which include a Corporal and Sergeant. The Bike Unit operates as a supplemental patrol unit, capable of assisting any unit within the department. The Bike Unit is a rapid response team designed to react to any number of crime or community issues. 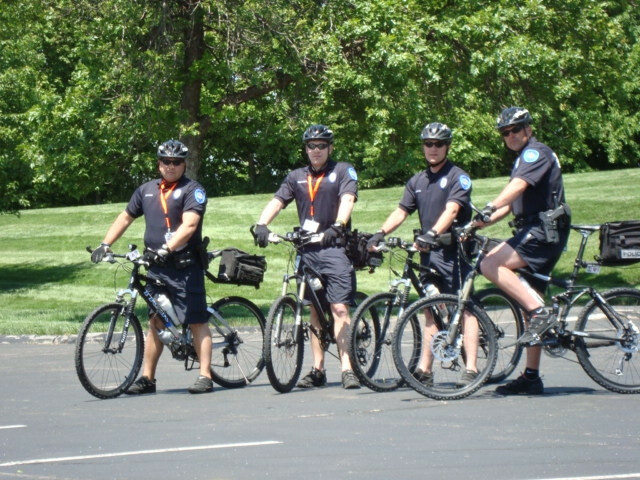 Bike officer's work yearly in the promotion of bike safety, through school visits and Topeka's Great American Bike Race. 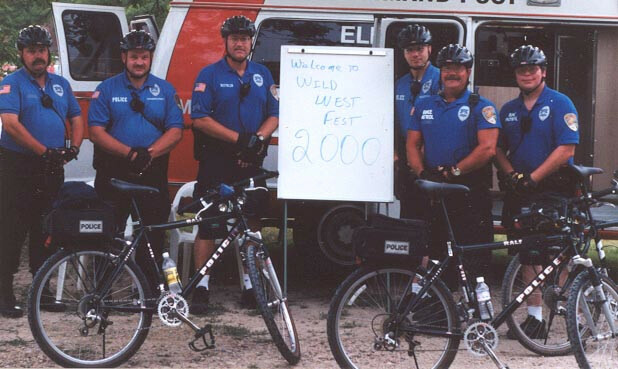 The University of Kansas Police Department integrated the use of bicycles into its patrol operations in 1993. Currently this unit consists of 7 specially trained officers. 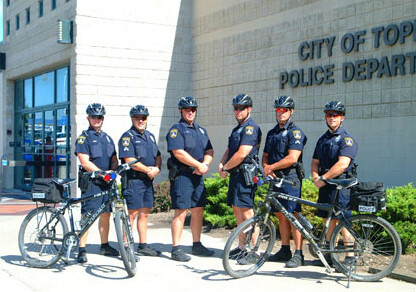 The Bike Unit employs the use of specially designed and outfitted TREK mountain bikes. Bicycle officers can exercise the option to ride throughout the entire year, dependant upon staffing and environmental conditions. The Bike Patrol Unit is an additional facet of the department's proactive approach to law enforcement and service to the community. Since its inception, the Bike Patrol Unit has become an invaluable asset. No additional information about the Wichita Police Bicycle Unit, other than that it does exist, and a police bicycle is (or was) pictured on the department's web site. No additional information about the Wichita State University Bicycle Police, other than that it does exist, and a police bicycle is pictured on the department's web site. 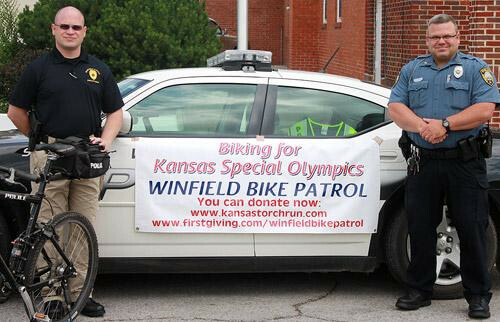 In an effort to better serve the community, the Winfield Police Department implemented a Bicycle Patrol Program. The primary function of the Bike Officer is Public Relations and Crime Prevention. Bicycle Officers attend citywide special events such as parades, holiday events, etc. The Bike Officer provides specialized patrol in areas of the city experiencing elevations in crimes such as thefts, vandalism and burglaries.